Roadrunner Records has announced the signing of MOTIONLESS IN WHITE. The Scranton, Pennsylvania-based band has just released its label debut single, "570", via all DSPs. 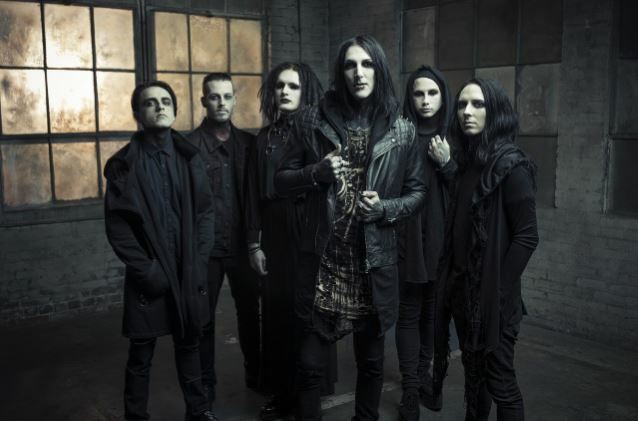 MOTIONLESS IN WHITE commented: "We are very honored to finally announce that we have signed with Roadrunner Records. "Over the past few months, we've had the privilege of getting to know the hard-working team that makes up Roadrunner and felt a connection with their company immediately. It has been a dream of MOTIONLESS IN WHITE for years to someday sign with their label, and we are elated to find that it is a perfect home for the band to continue building our career. "We are very excited to start this new chapter and to keep working hard every day with Roadrunner by our side. MOTIONLESS IN WHITE is hard at work on its long awaited fourth studio album and full-length Roadrunner debut, slated for 2017. 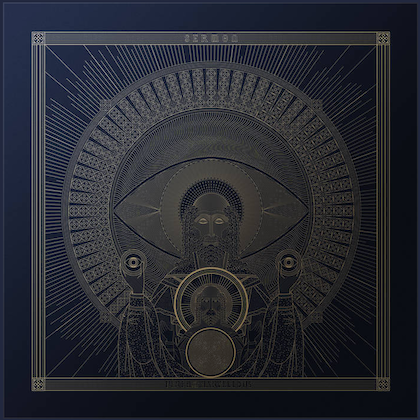 "570" marks the band's first new release since 2014's "Reincarnate", which debuted at #1 on Billboard's Top Rock Albums chart as well as at #9 on The Billboard 200. MOTIONLESS IN WHITE's third studio album was highlighted by the blockbuster title track, a top 20 Active Rock radio favorite accompanied by a striking companion video now boasting close to 10 million individual views. MOTIONLESS IN WHITE will celebrate "570" with nearly non-stop touring, kicking off with this year's Vans Warped Tour. The dates — which see the band topping the new Monster Energy Party Zone — begin June 24th at Dallas, Texas's Gexa Energy Pavilion and then continue through mid-August. From there, MOTIONLESS IN WHITE will join forces with KORN and BREAKING BENJAMIN on the eagerly awaited "Nocturnal Underground Tour". The trek — also featuring SILVER SNAKES — gets underway September 27 at Cedar Rapids, Iowa's US Cellular Center and then runs through mid-October. As if that weren't enough, MOTIONLESS IN WHITE will be among the stars performing at a number of upcoming heavy music festivals, including Chester, Pennsylvania's Rock Allegiance (September 17), Louisville, Kentucky's Louder Than Life (October 1), and Sacramento, California's Aftershock (October 22). Founded in 2005, MOTIONLESS IN WHITE have won over audiences worldwide with their aggressive music and arresting imagery. The band – currently comprising lead singer Chris Motionless, guitarists Ryan Sitkowski and Ricky Horror, keyboardist Josh Balz, bassist Devin "Ghost" Sola, and drummer Vinny Mauro – have proven a ferocious and inventive live act, earning an increasingly fervent fan following via countless headline shows, festival sets, and tours alongside such iconic acts as SLIPKNOT, LAMB OF GOD and A DAY TO REMEMBER, among others.